Digital Filaments is the Delaware Valley’s premier source for architectural and commercial LED lighting and controls. 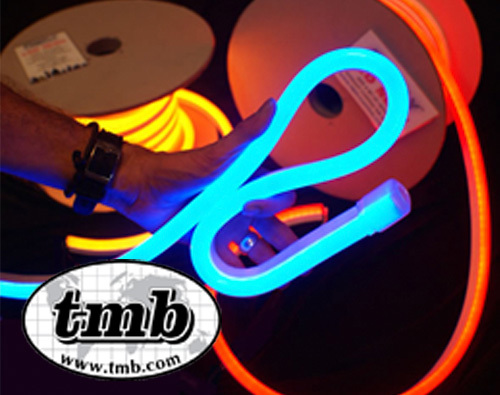 TMB's Floppyflex is the a easy to use, long lasting & durable replacement for glass neon. Floppyflex is suitable for many projects and installations including indoor, outdoor, signage & architectural. The color jacket ensures that colors are visible in direct sunlight. 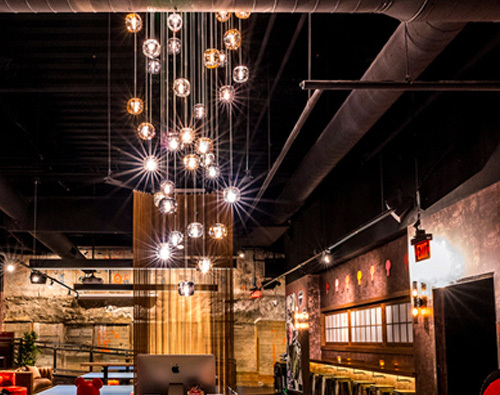 Viso's Cubies make a fun and playful statement at the new SPiN ping pong club in Philadelphia. The cluster features 36 Cubie pendants in Smoke, Clear and Amber, and was exactly what the customer wanted: an eye-catching piece with a lot of whimsy. 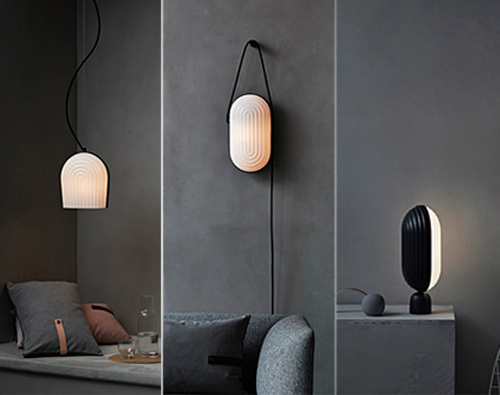 See a sneak peek of Innermost's new lamp, Membrane – part of their quickly expanding glass range. 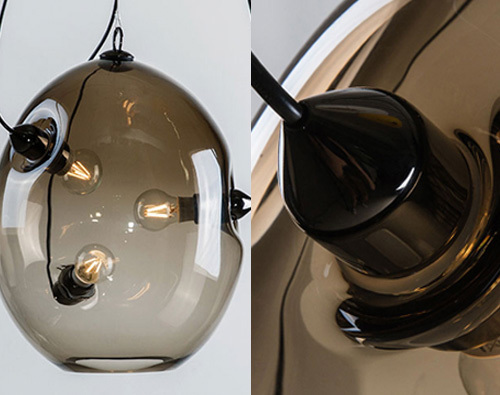 Their collaboration with designer Jette Scheib resulted in a hand blown glass pendant combined with three LED filament bulbs that appear to have melted through the shade. 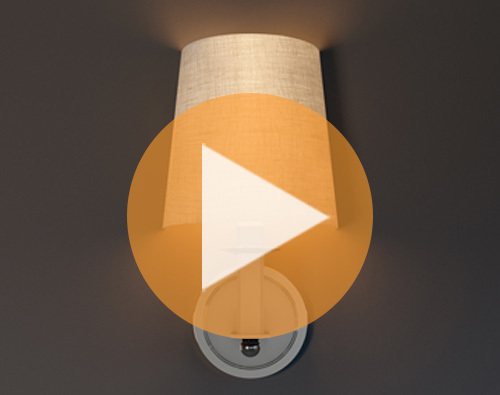 Alva's new Auberge brand of lights delivers high design and quality LED sconces at a low cost. The customizable fixtures are perfect for hospitality, multi-family residential, and senior living communities and feature a nearly indestructible resin shade. 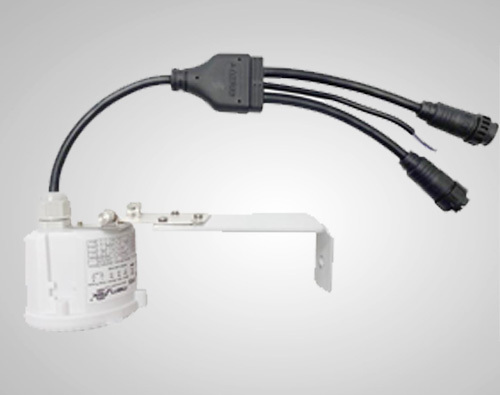 The new, more compact and easier to install sensor offers automatic dimming when used with the dimmable Litetronics Round High Bays. The built-in daylight sensor interface enables you to precisely set the detection area, time delay and daylight threshold via DIP switch. 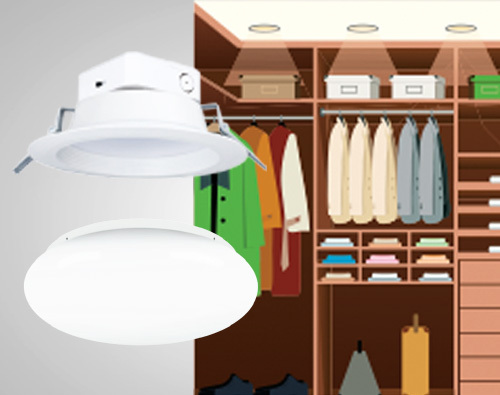 ETI LED flushmounts, recessed downlights, wrap lights and patented Spin Lights are perfect options for closet lighting. ETI fixtures feature attractive low profile designs, CRI 90 for enhanced color reproduction, and even energy-efficient light output. 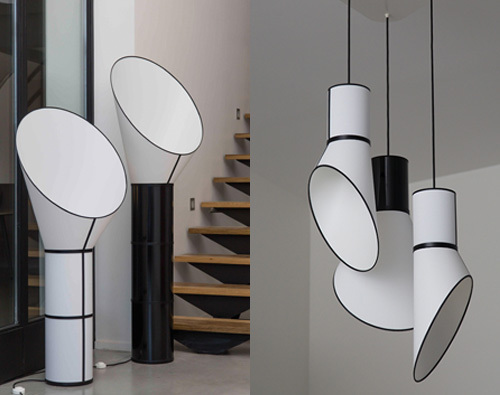 Le Klint is celebrating their 75th anniversary with ARC, a new lighting collection inspired by the architecture of the interior of The Grundtvig Church in Copenhagen, created by P.V. Jensen-Klint. Le klint has added a modern twist by combining their famous white hand pleated shades with contrasting black coloured oak elements. 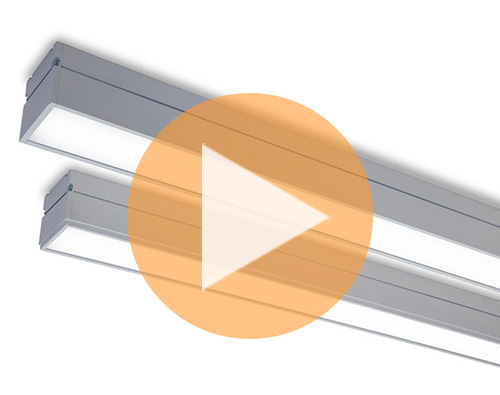 The LAL4 Series is designed to flawlessly integrate into ceiling systems or drywall ceilings to deliver beautiful lighting for commercial applications by forming uniform lines of light. GE's TriGain technology delivers enhanced CRI and R9 without sacrificing efficiency. Echoing the design of steamliner funnels, Designheure's Cargo collection is characterized by the purity of its forms. The French-made Cargo is available in wall mount, floor standing and suspended configurations. Suspended fixtures can be assembled together to form a large chandelier. 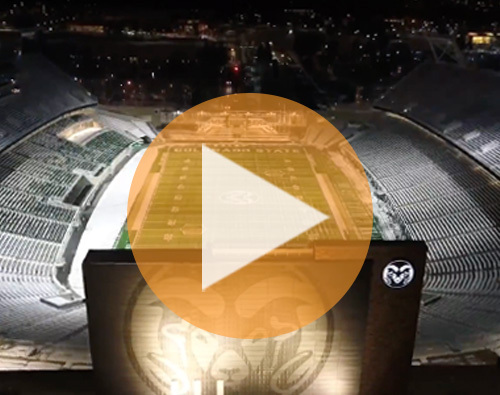 Colorado State University's new stadium is chock full of the latest tech, including Crestron lighting controls. Check out an aerial demo of Crestron's control system in action. 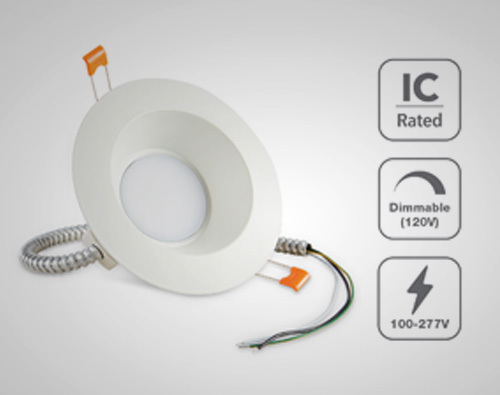 Verbatim's Trimflex LED 277V 6 and 8 inch downlights allow users to customize their fixtures with interchangeable trims, while still offering 277V compatibility. Trimflex trim accessories are made of thick, durable aluminum and have threaded bases for simple and secure attachment to the light source module. GE's EFM1 flood and spot light is a mid-lumen solution to efficiently illuminate building façade, flag poles, billboard signage and many more traditional flood applications. 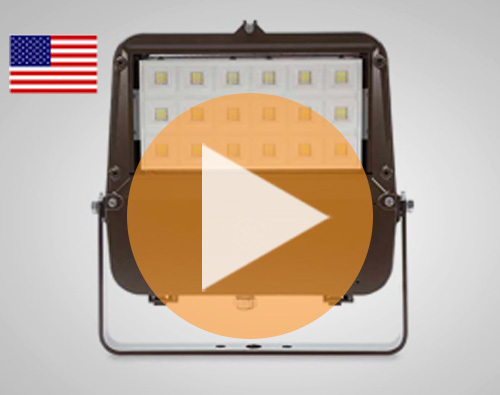 The EFM1 is designed to replace up to 250W HPS and 250-400W Metal Halide flood lights.